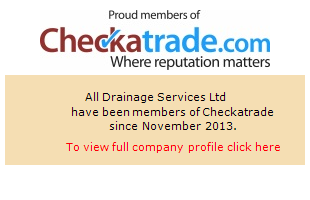 Drainage Wiltshire – All Drainage Services are a Wiltshire based plumbing company who can help with all drainage problems and routine maintenance. All Drainage Services drain service engineers can take care of any drain type problems including cleaning, repairs, CCTV surveys, inspections and blockages. My toilet is blocked is this something you do? Yes All Drainage Services will be happy to unblock internal toilets. My sink doesn t seem to drain fast and sometimes becomes blocked, is this fixable? My manholes leading to septic tank are blocked, can you unblock them? I keep getting unpleasant smells within my home, what do I do? All Drainage Services can investigate smells. Ideally smells need to be present when we are on site to enable us to trace and identify them. Every time it rains my drains overflow. What's the problem? This could be that your drains need jetting or your soak away isn’t working correctly. We can advise and install new soak aways. and we have kept to our original quote 100% of the time.